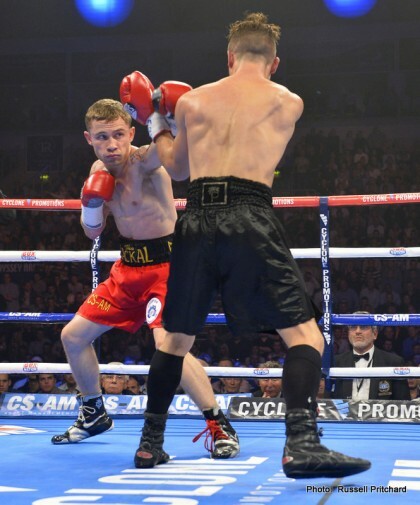 The channel, which has a historic association to the sport in the country, made a hugely successful return to it with Frampton’s sizzling maiden defence against brash American challenger Chris Avalos back in February. An audience of over 2 million viewers tuned in. The fight against Gonzalez Jr is also the US debut for the Northern Irishman and is both representative of his desire to be a world boxing star – and reflective of the broad influence of new advisor, Al Haymon – arguably the most powerful man in boxing. Certainly the right man to help him achieve his global aims. The fight goes out on CBS in the afternoon Stateside. Crucially perhaps, the bout is likely to clash with WBA (reg) champion Scott Quigg’s defence of his 122 lb strap against former Frampton foe Kiko Martinez. That fight will be screened on Sky Sports around the same time. It is yet another move in the increasingly chess-like match of one-upsmanship from Frampton, that saw him sign with the influential Haymon following a breakdown in negotiations for making the fight with bitter rival Quigg and his Matchroom Sports handlers.